SKU: 9000004324 Categories: Sanding Sheets, Pads & Sponges, Sanding Sheets, Pads & Sponges Brands: Faithfull. 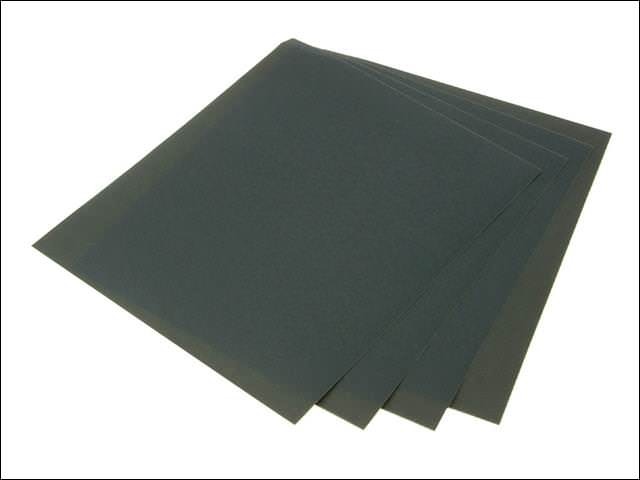 Waterproof paper is generally used wet to prevent clogging when sanding down painted surfaces. The sheets are ideal for car bodywork, smoothing off body filler and cleaning electrical contacts. Coarser grades are ideal for removing major imperfections. Finer grades achieve a very fine finish for final painting. These sheets can be cut to any shape or size, making them very versatile for use in assorted applications.